In conjunction with Mid Valley Megamall Fashion Week 2013, XIXILI debuts her Spring / Summer 2013 intimates collection and a speckle of the hottest picks from Autumn / Winter 2012, in a lingerie fashion show of fairy tale opulence and contrasts. Aptly titled XIXILI, Once Upon a Fairy Tale: Good vs. The Wicked, the evening takes you on a journey to your magical dreams. Disney tunes crooned out by a very special celebrity guest singer, none other than Malaysia’s very own Soprano singer, Ms Syafinaz Selamat. 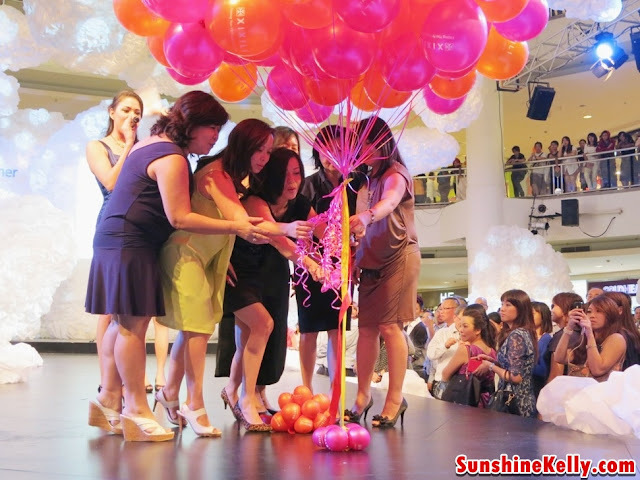 Balloons flying to a new height within the clouds signifying XIXILI’s brand vision to “Uplift You Always”. And, your all-time favourite fairy tale characters, whether good or bad, take to the stage and strut down the catwalk in the hottest lingerie collections that sizzle. in this XIXILI fairy tale lingerie fashion night. Which character will you spot for: Princess Jasmine and Jafar, Cinderella and her Stepmother, Ariel and the sea witch Ursula, Alice and the Queen of Hearts, or Little Red Riding Hood and the Big Bad Wolf? Do you know that about 80% of women worldwide wearing the wrong-sized bra? Side effects of wearing the wrong-sized bra are a plenty: distorted shapes, pre-mature sagging, back pains, unsightly underarm bulges and back fats, undefined silhouette, and scarily and much more. XIXILI is adamant in their mission to educate all women to be fitted and to wear the right size bra throughout their life stages. It is a FACT that a woman’s bust size will change over time: at least 6 times throughout her life. Thus, with this in mind, it is important to be measured and fitted into the correct bra size and brassiere type, for a healthier you. XIXILI, an intimate wear brand, reinitiated their ‘Perfect FIT’ concept by their new campaign ‘Fitting You Perfectly for Life’ to re-iterate the message about the importance of wearing the right-sized bra. 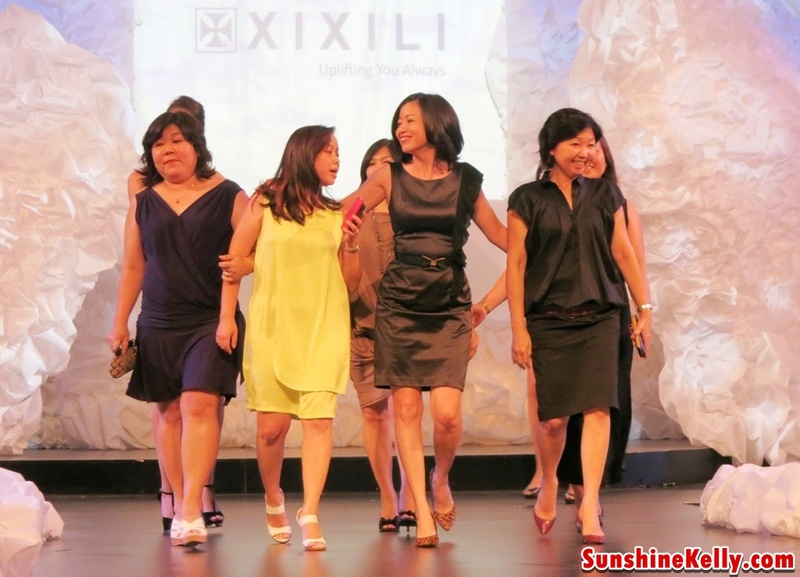 ‘Fitting You Perfectly for Life’ is a promise that XIXILI have made to all the ladies. By getting you into the ‘perfect FIT’, we can then be assured to be a step closer to our brand vision to be ‘Uplifting You Always’.